Al Jazeera's undercover report that claims Peyton Manning used banned drugs has put the news site in the spotlight. Al Jazeera America aired a bombshell documentary on Sunday night that put the ratings-starved cable news channel in the spotlight. But it also ignited something with which AJAM is quite familiar at this point: Controversy. 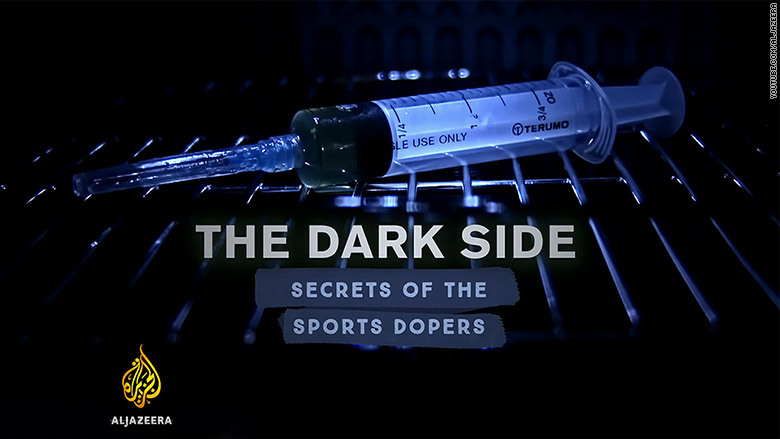 The documentary, titled "The Dark Side: Secrets of the Sports Dopers," linked a number of professional athletes, including NFL great Peyton Manning, to performance-enhancing drugs. A man claiming to have been affiliated with the Guyer Institute of Molecular Medicine in Indianapolis was secretly recorded saying that the clinic mailed human growth hormone to Manning's wife, Ashley, to ensure that the legendary quarterback was never connected. Manning, along with other athletes implicated in the report, vehemently denied the claims. On Sunday night, Manning said that he will "probably" sue Al Jazeera. Charlie Sly, the central source of the allegations, has recanted the statements he made to Al Jazeera's undercover reporter. Sly told ESPN that he "made up" the story about Manning. He also said that he isn't a pharmacist and didn't work at the Guyer Institute in 2011 when Manning allegedly procured HGH, a drug that is banned by the NFL. Public records show that Sly was a licensed pharmacy intern in Indiana from 2010 until 2013. Dr. Dale Guyer, the founder of the clinic, said Sly was an unpaid intern at his facility from February 2013 to May 2013. In a statement, Guyer said it was "extremely disturbing" that Sly would "violate the privacy of Mrs. Manning's medical records and be so callous and destructive as to purposely fabricate and spread stories that are simply not true." "I have no reason to believe these allegations are based in fact or have any truth," Guyer said. "In fact, I can say with absolute certainty they are not." Guyer's statement did not specify what drugs Ashley Manning might have received. Al Jazeera defended its reporting by providing the Huffington Post with transcripts of its phone call to the Guyer Institute. In the transcripts, a Guyer Institute employee said that "it looks like [Sly] was here in the fall of 2011." But Julianne Cartmel, general counsel for the Guyer Institute, told CNNMoney that the employee mixed up some dates. According to Cartmel, Sly first inquired about interning there in 2011. "We told Al Jazeera that and they don't seem to be concerned with the truth," Cartmel said. "He absolutely did not start until February 18, 2013." Manning told ESPN that his wife's medical treatments are "her business." "That has nothing to do with me. Nothing that was sent to her and my wife has used have I ever taken. Absolutely not," he said. Al Jazeera had no comment on Sly's walkback and Manning's legal threat. Deborah Davies, an Al Jazeera investigative reporter who was involved in the documentary, said Sunday that her team reached out to Sly at the beginning of the month, but they "didn't hear anything from him until 48 hours ago." And Davies said that Manning failed to answer some of the questions raised by the documentary. "And those questions are, how much growth hormone was shipped to his home in Florida, to his wife Ashley?" Davies said. "What were the dates of those shipments? How much money was spent on that growth hormone?" Davies said she also wanted to know what medical condition may have required Ashley Manning to be prescribed HGH drugs. For Manning, the NFL's all-time leader in passing touchdowns and one of the league's biggest stars for more than a decade, the claims represented a rare strike against his integrity. For AJAM, the documentary represented a rare amount of interest in its programming. The documentary wasn't exclusive to AJAM. It was produced by Al Jazeera's investigative unit, and will also air on Al Jazeera English. But television viewers in the United States watched it on AJAM, which launched in 2013 after the Qatar-based Al Jazeera Media Network purchased Current TV. From its inception, AJAM embarked on an ambitious mission, promising to break from usual cable news rancor and deliver sober, fact-based coverage. But in the two years since then, AJAM has been defined largely by anemic ratings and newsroom dysfunction. This year alone has brought the channel considerable turmoil. Five high-profile female executives left AJAM, while a pair of fired employees filed lawsuits alleging that they encountered sexism and anti-Semitism during their time there. In May, AJAM's CEO Ehab Al Shihabi stepped down amid growing discontent among the outlet's staff. AJAM's internal tumult has drawn more attention than its programming. The channel has struggled to build an audience, drawing only about 30,000 viewers a night. Given the publicity it generated, "The Dark Side" could eclipse that figure. Ratings for the documentary will be available on Tuesday.